Boy has it been hot out the last few days – summer has officially hit! 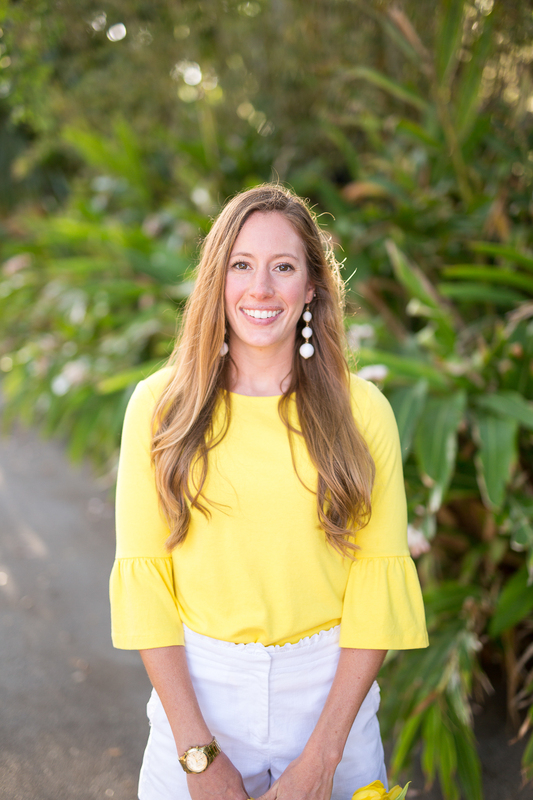 One skill I have gotten really good at living in Florida is learning how to dress stylish in the summer! If you have ever traveled to a tropical climate, you learn fast it gets super hot and humid in the summer months. Literally, one second your feeling all the Spring weather feels and the next you feel like the Wicked Witch of the West screaming, “I’m melting”. The good news? 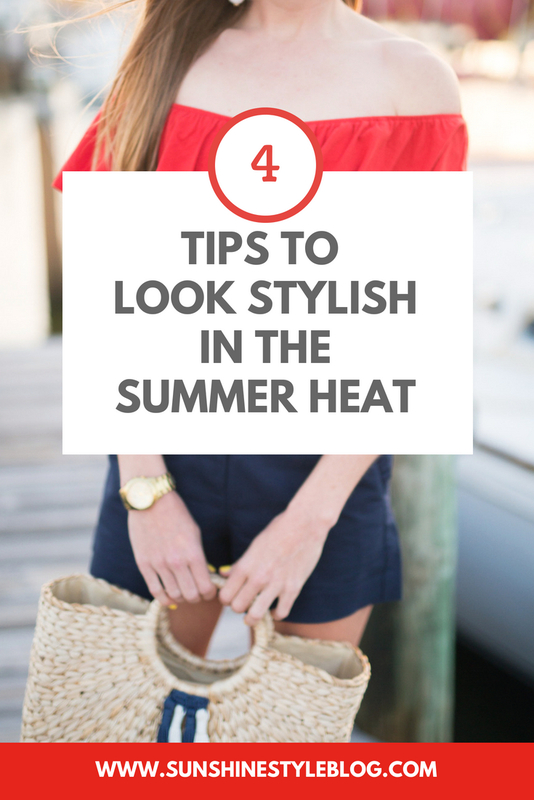 Although you can never truly escape the heat, there are ways to beat it and look cute while doing so. 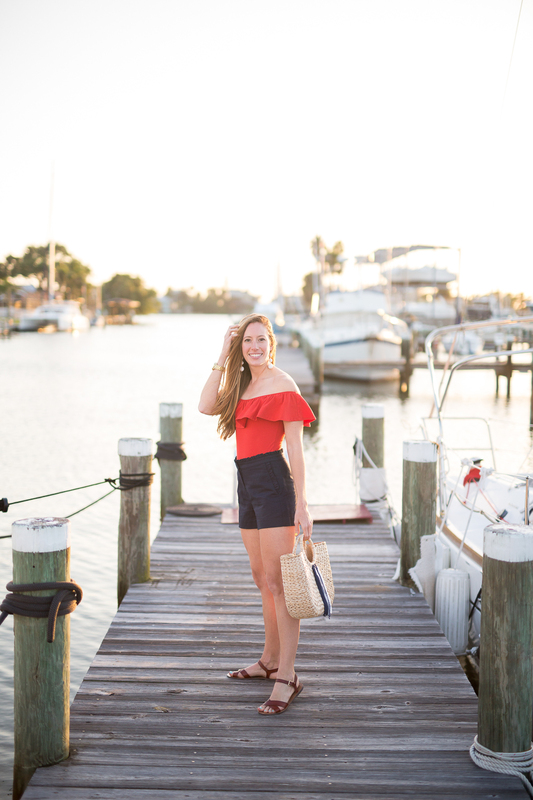 Nothing gets me more excited for summer than a shorts and top combo that will be bound to keep you cool! This isn’t a “follow these steps” and you will never feel gross and hot again. That’s nearly impossible and if that place exists by a beach, please tell me! Growing up in Florida, every single summer, especially July to September it’s sweltering outside. I mean like just walking from your house 10 feet to the car and you already have sweat dripping down your back. Someone please tell me I’m not alone in this! Not even exaggerating. We loveee our air-conditioning. 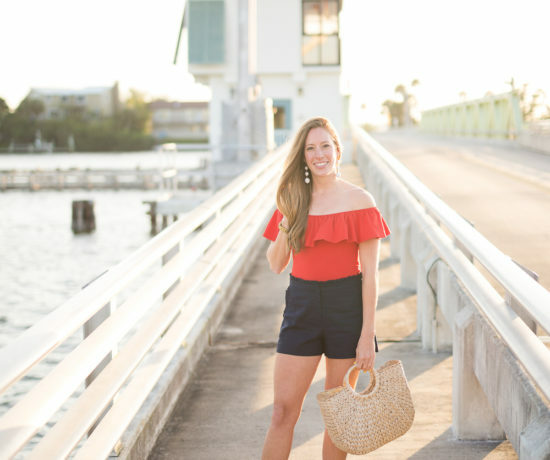 While I love living in my swimsuit (some days it’s your best option), there are plenty of times I want to get dressed in pretty clothes and out of my bikini and cut off denim shorts. The best way to beat the heat is to wear as little clothing as possible. You probably don’t want to hear that but the less you wear, the better you feel! Layering is not an option. 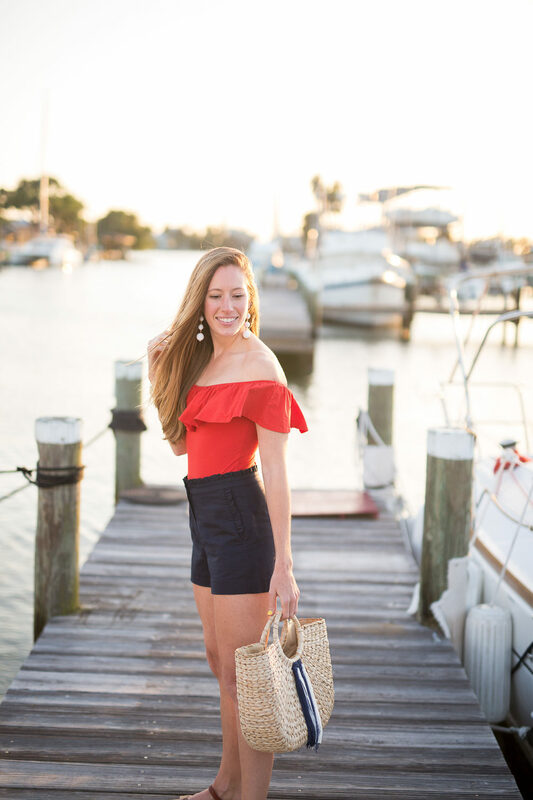 The next best option besides a swimsuit is a dress or my personal favorite, a pair of structured shorts! 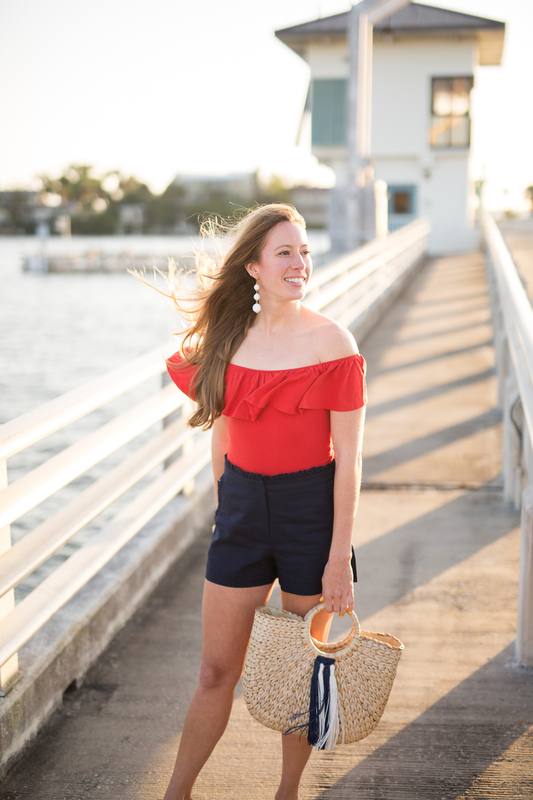 Once you find a great pair of shorts (I’m wearing the ruffled navy ones), you are on your way to feeling cute and looking stylish in the heat! Since we sharing secrets, I have to tell you something else. It’s so silly but it matters to me. 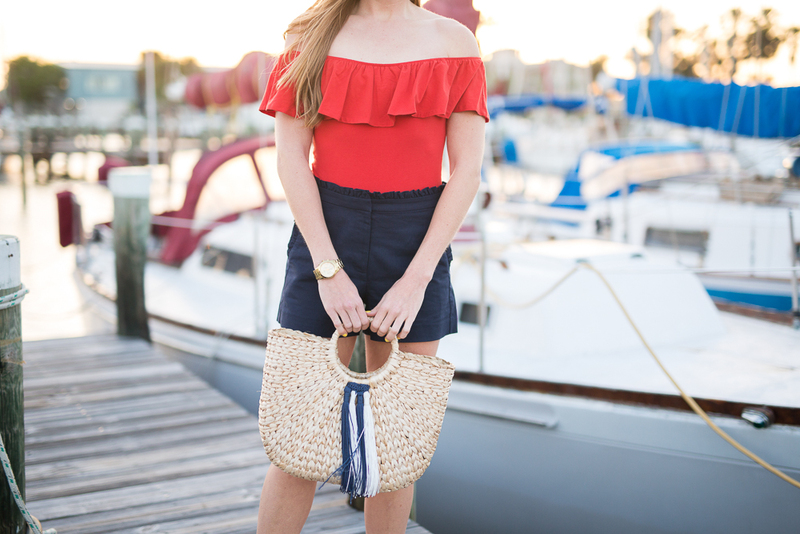 I admit, these brown sandals I styled with the navy shorts (on sale for under $30!) and red bodysuit are not my favorite. When I wear this outfit again, which I most definitely will wear (outfit repeater ova here), I’d pick white sandals instead of these brown ones. I bet your thinking, “Katie, those look just fine!”. They do, I just don’t like the dark contrast of the navy with the brown. For me it’s all about the matching! Then again, it’s just clothes, worst things have happened ha! I still love this outfit for summer! 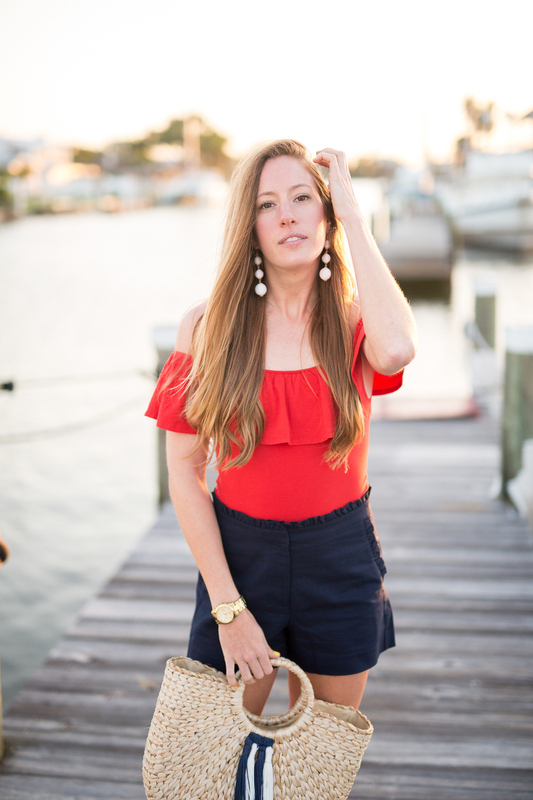 The red off-the-shoulder top I’m wearing is actually a bodysuit (under $20)! Never in my life would I have thought I’d wear a bodysuit (aka leotard) again after my retired gymnastics days, let alone purchase one to wear out in public. BUT, they are amazing! It reminds me of swimsuit mixed with a spandex tank top. Except, the tank top never comes untucked!!! I tuck in shirts almost daily, so this is a lifesaver because I am always spending so much time adjusting, especially after a trip to the bathroom. TMI? Ha! For those who prefer neutrals over color, it also comes in an ivory and black striped option! It buttons in the crotch area (I know, it sounds so funny) but you don’t notice once your wearing it. 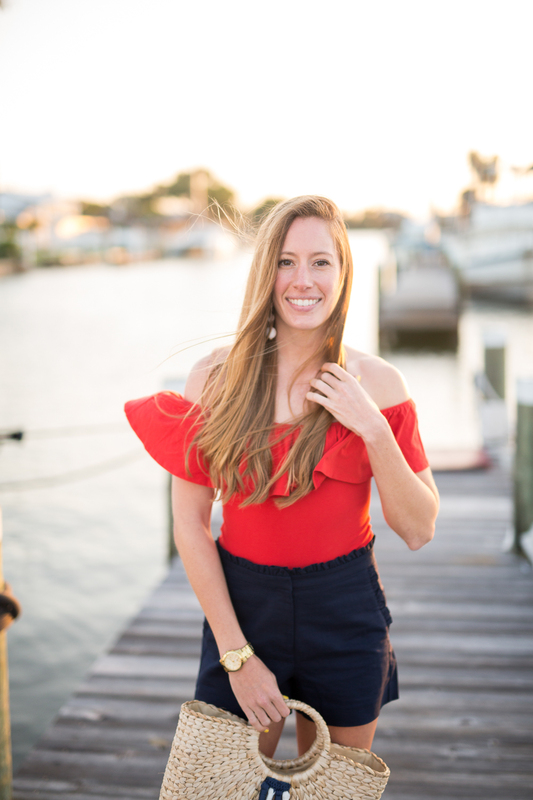 The bodysuit is the most comfortable piece ever and unlike most off-the-shoulder tops, when you raise your arms, this one actually stays in place. Pop the sleeves up like a scoop neck if the OTS annoys you. I’m 5’8 and purchased a Medium, so if your taller I would size up for the length. The material is so lightweight and very stretchy, it felt like I wasn’t wearing anything. Watch how I styled it with wide leg pants over on my Instagram stories! Would you be okay if I only ever posted about shorts again? I would be ha. 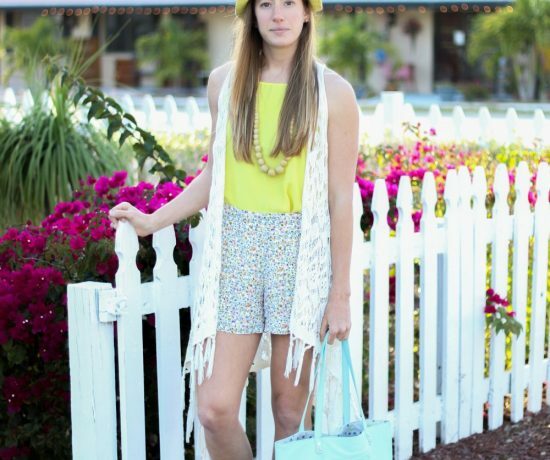 Often I see bloggers shy away from outfits with shorts but to me their so easy to style. While I love my denim cut off shorts more than anything, a structured or classic short is what makes me feel more dressed up. They are normally more fitted, has a higher waist and is made of a more stiff material (but still soft). Dress them up with blouses or bodysuits or dress them down with tank tops and spaghetti strap tops. 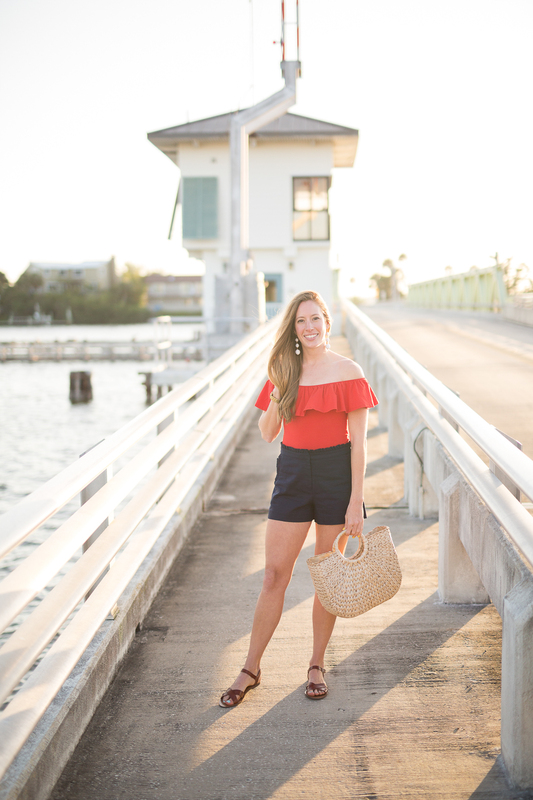 These navy ruffled shorts are my current favorite pair of structured shorts and also come in chambray, yellow and seersucker. 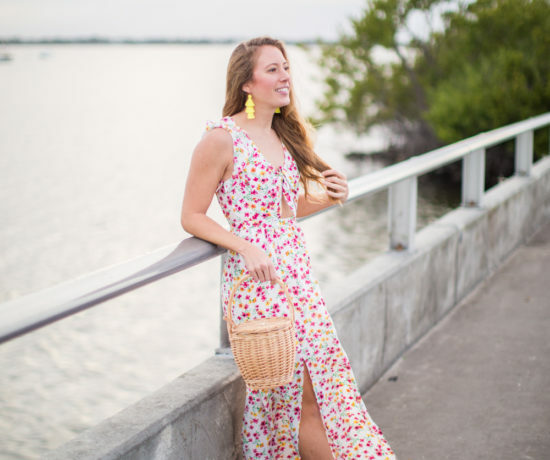 Their a great classic piece for summer and a budget friendly option under $30! Literally so worth the price. 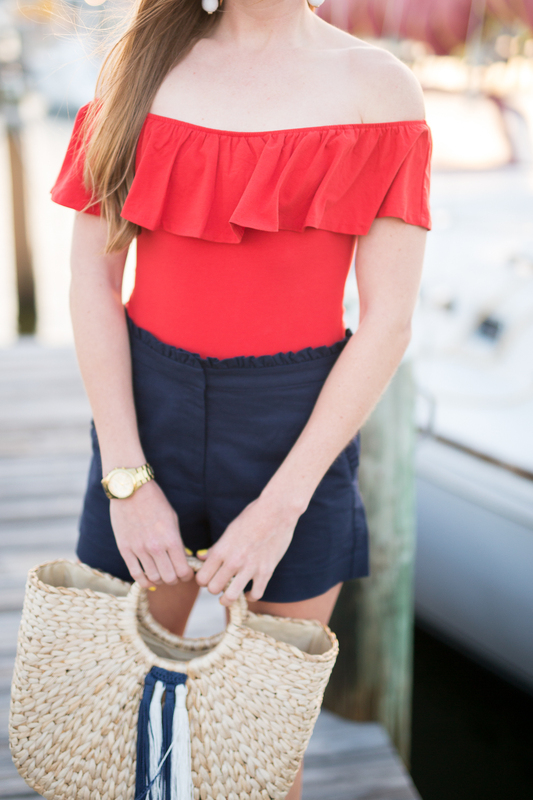 I have three pairs of these shorts in different colors (worn here and here). 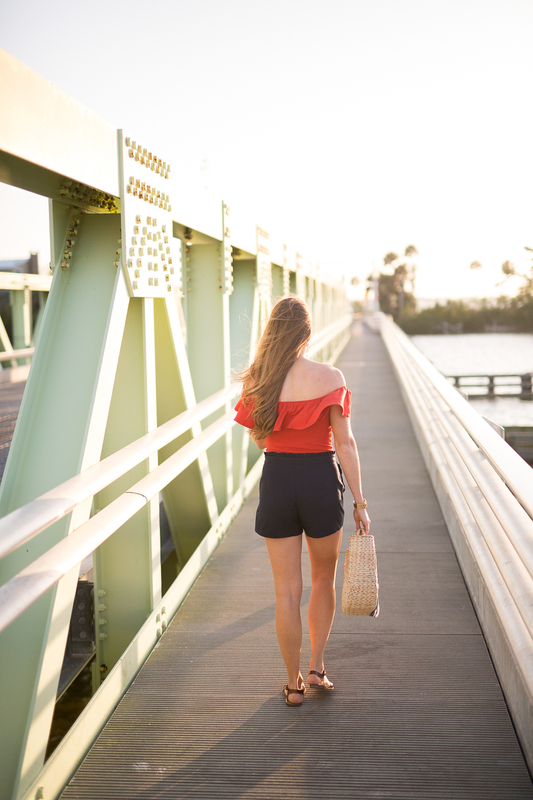 I’m telling you, structured shorts will help you instantly feel put together and also keep cool. 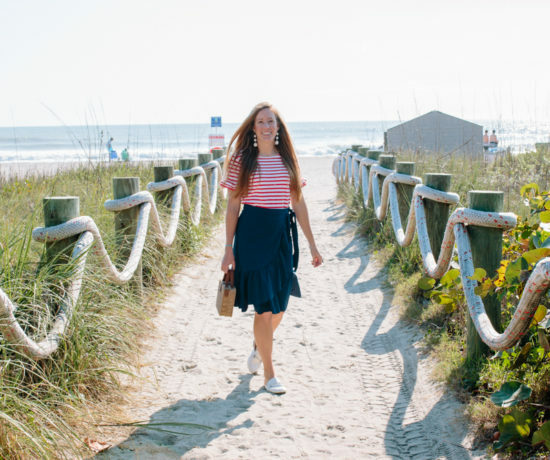 Most of my summer sandals are neutral colors like brown, white and navy. Ever so often I like buying colorful ones like pink or yellow. Only buy colored sandals if you know they will match with the majority of your wardrobe. Sandals are amazing because they allow your feet to breathe. Dry and open feet are happy feet. LOL. When it’s warm out and the suns fully shining nothing is worse than sweating in closed toed shoes. And don’t get me started if your socks are wet! 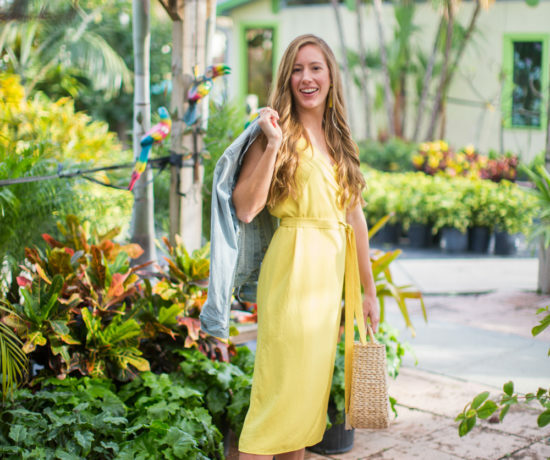 Do yourself a favor and always have a neutral sandal option available. I recently purchased these tan sandals from J.Crew for under $30 and I can already tell they will be my most worn sandal this summer. Don’t be afraid to invest in a sandal that will last for years to come. My next neutral sandal purchase when these finally die will be a Jack Rodgers pair or this ethical leather pair from Sseko Designs. Accessories are the icing on the cake. 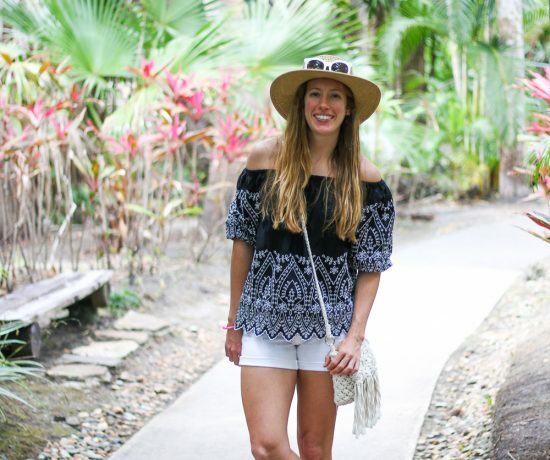 Accessories can be anything from earrings, straw bags, bandanas or necklaces. When it’s hot out, I try to go really minimal on the jewelry. If I’m hot and cranky, the last thing I want to do is mess with a bulky necklace or untangle my hair from huge earrings. Lately, I have been loving tying a bandana in my hair or or around my neck for what I like to call, “layering when it’s hot out”. This means you add something small to complete an outfit yet it does nothing to keep you cool or hot. Statement earrings are probably my most worn accessory and I love being bold or going neutral with a white pair. Their easy, light and if your on a budget, Target’s SUGARFIX By Baublebar line has so many fun options! 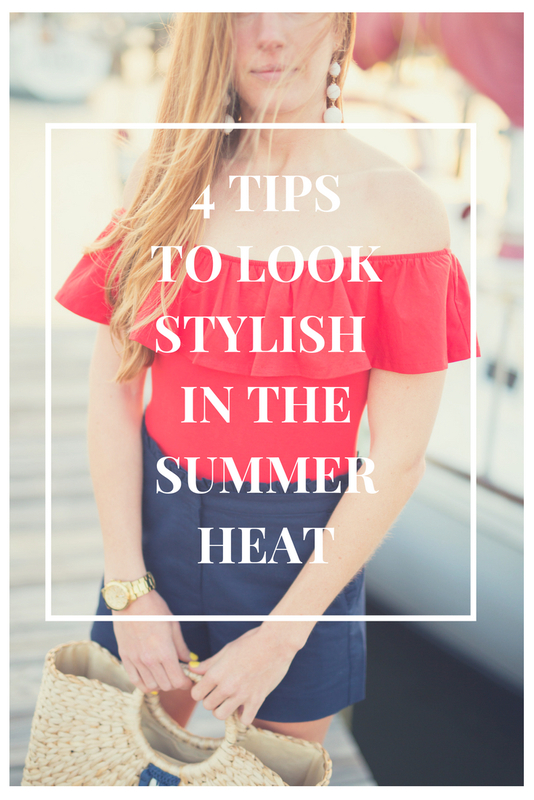 Don’t Forget to Pin my 4 Tips to Stay Stylish in the Summer Heat so you can reference them each season! Do you have any tips and tricks on beating the summer heat? Or ways you dress cute when it’s to hot to deal? You can bet I will be bringing this outfit to Hawaii to keep cool!! !